It has been confirmed via research that one of the causes of work-related injuries is an absence of a safe working environment. In this case, we are not merely referring to the presence of hazardous pitfalls, and questionable practices that threaten safety, rather we are speaking of how psychologically straining conditions like employee stress, pay dissatisfaction and performance pressure make the workplace unsafe and puts the employees at the risk of accidents. An employer is expected to ensure that not only are safety stipulations strictly adhered to but that the psychological vibe of the workplace is conducive for meaningful and productive work. That said, in the event that you sustain a work-related injury, you are entitled to some compensation regardless of who is responsible. You will need the services of an expert attorney to help get your settlement from your employer’s insurance firm. With us at Rawa Law Firm, you are assured of our relentless devotion to you and your case. We have free office consultations, also do we have a free home and even hospital consultation sessions, our aim is to make the entire procedure as easy for you as possible. Our expertise has been honed in our over two decades of existence, this has led us to become one of the notable legal voices in Hesperia. 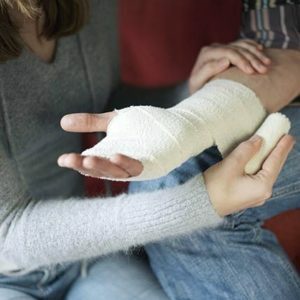 Our work injury attorneys are favored here in Hesperia because of their tireless commitment to our clients and their attention to details. Reach us via the address below for all inquiries.